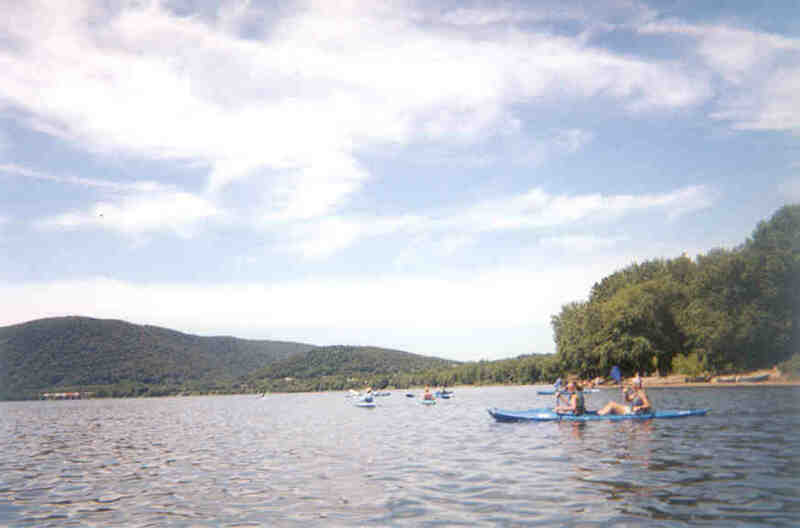 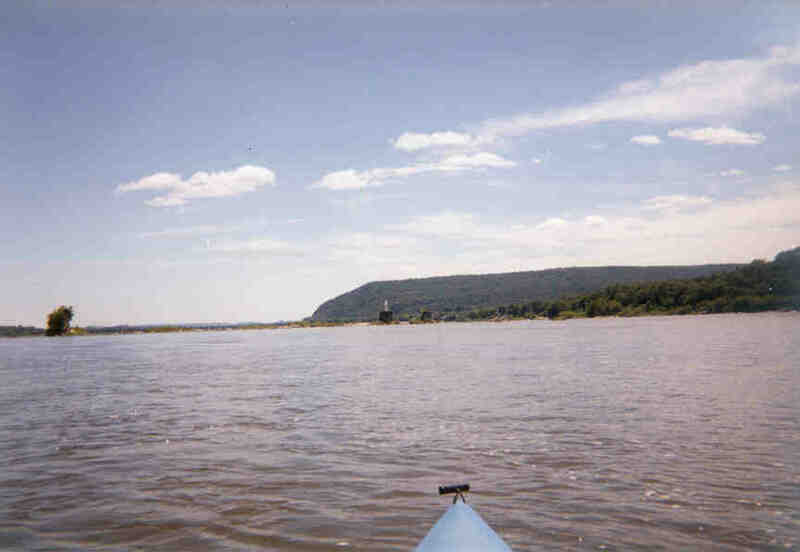 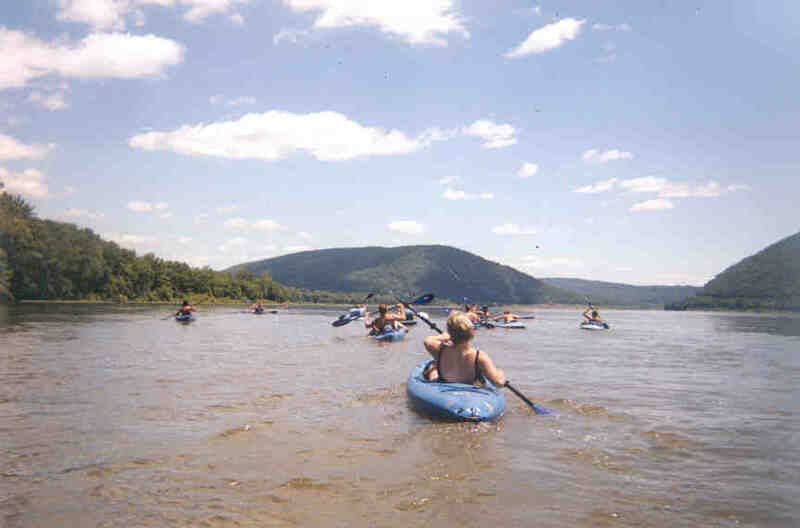 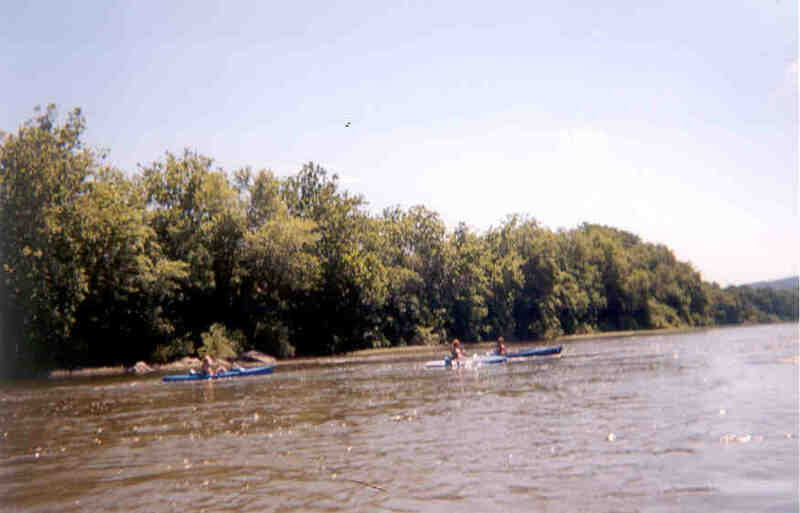 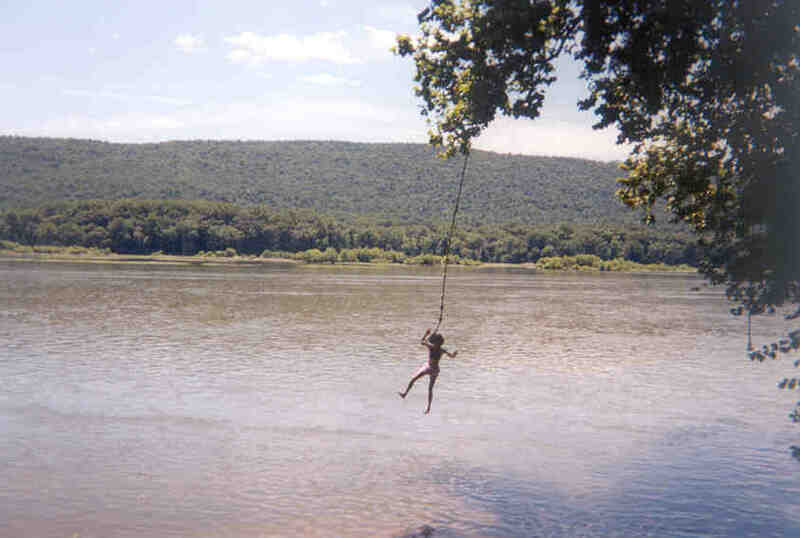 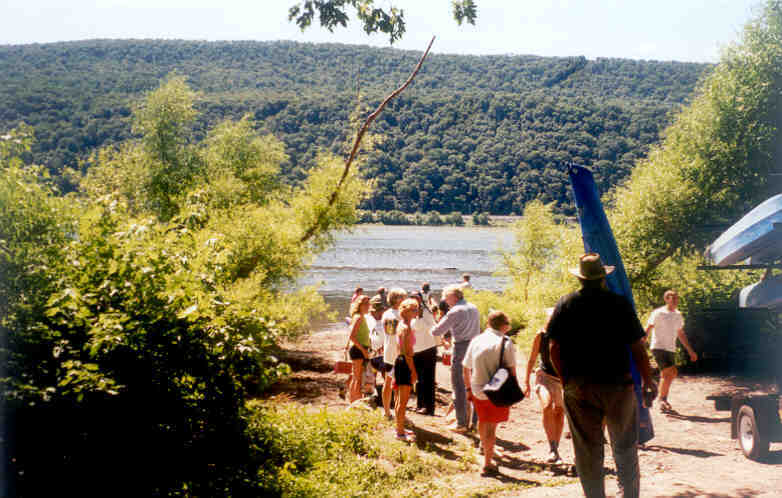 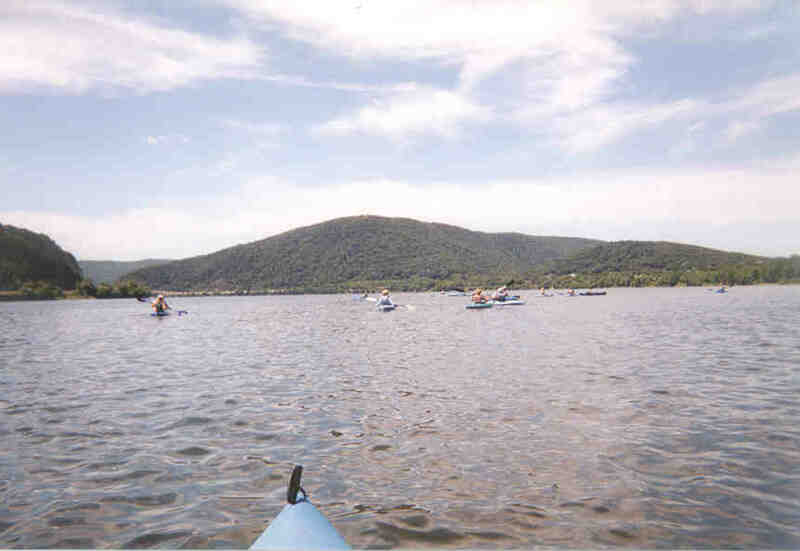 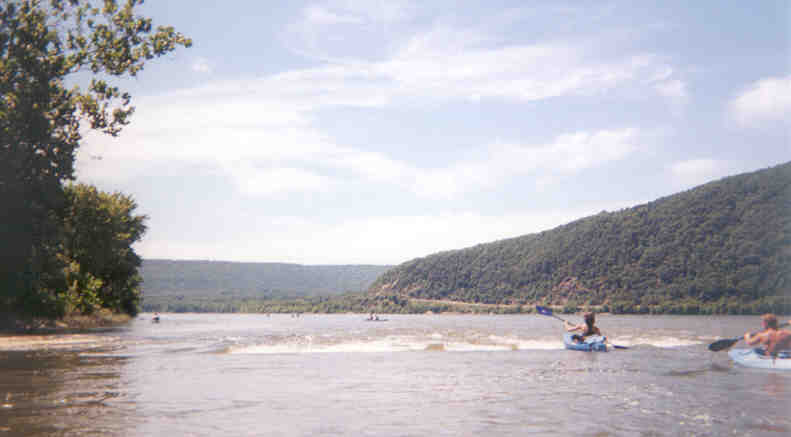 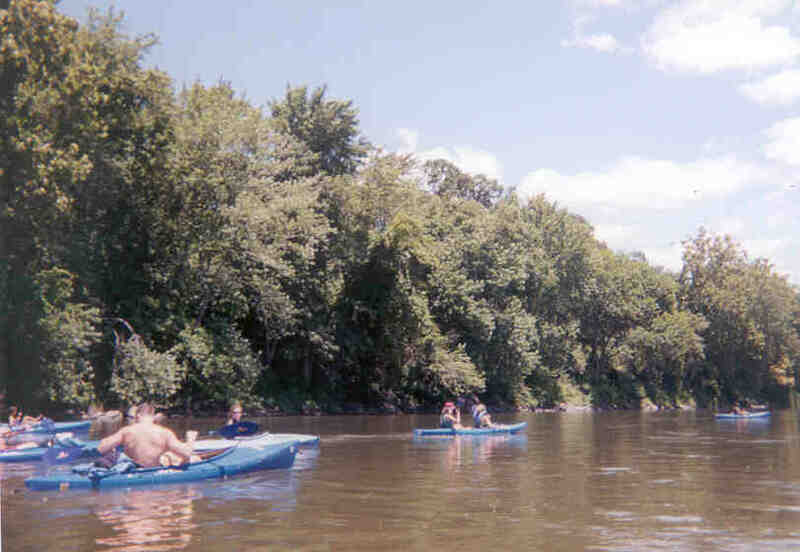 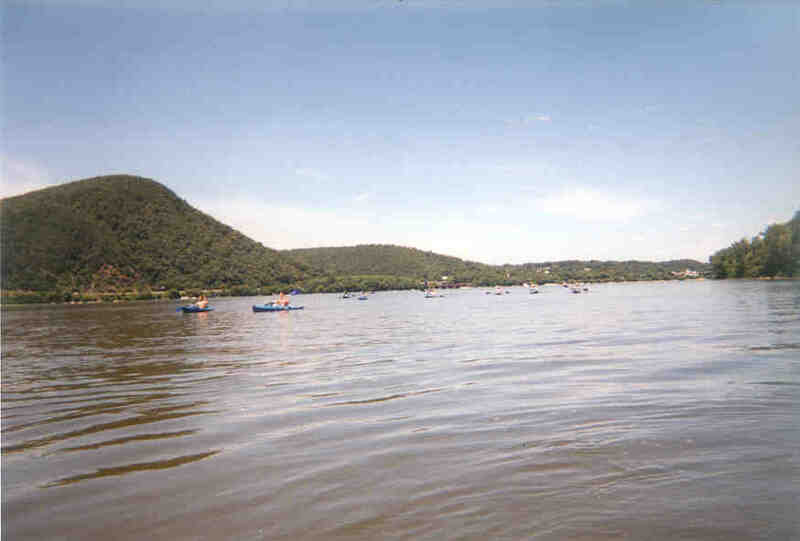 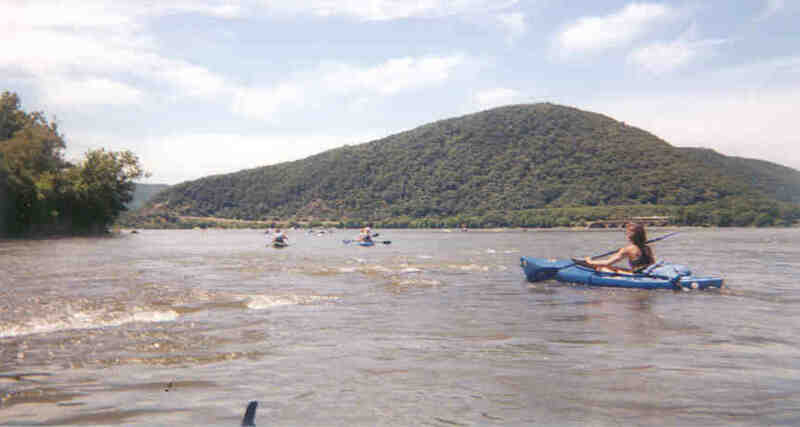 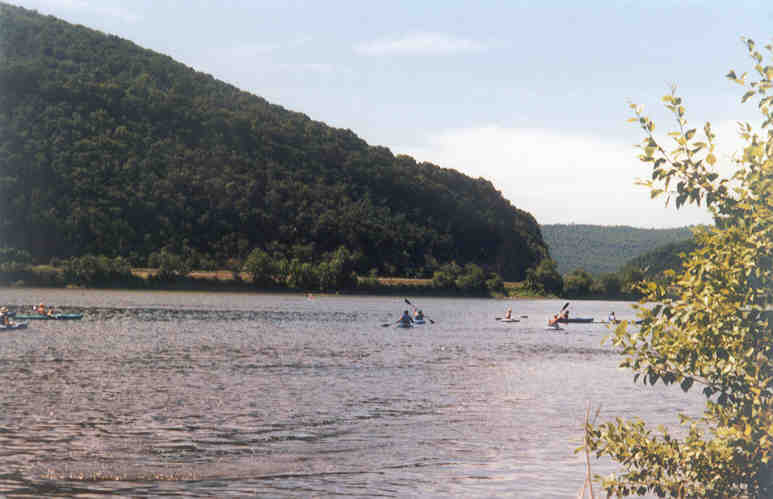 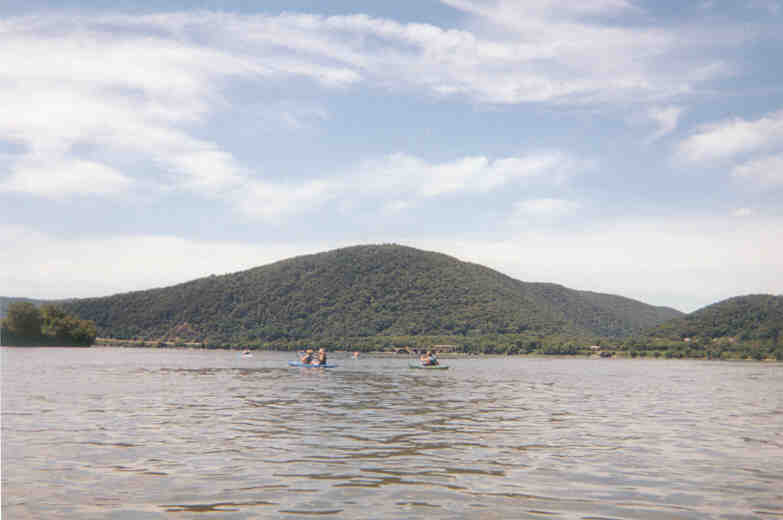 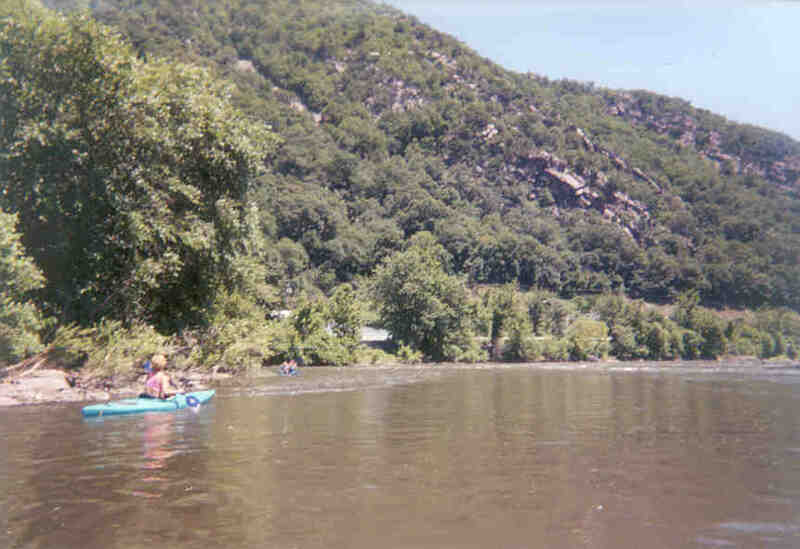 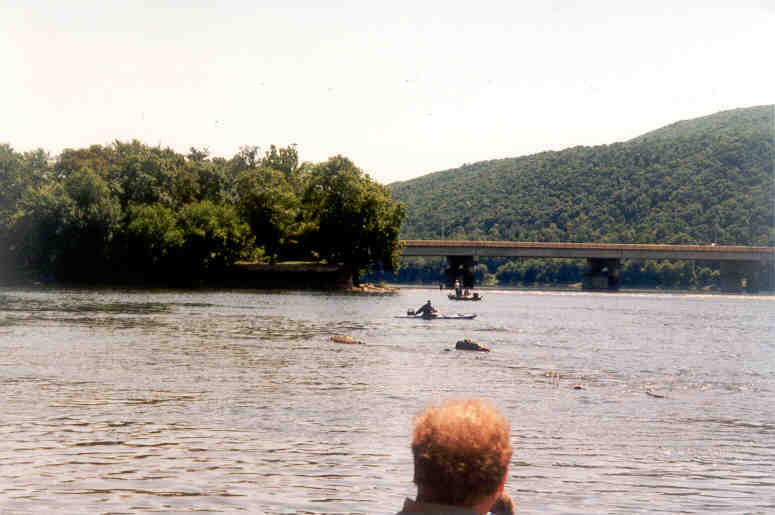 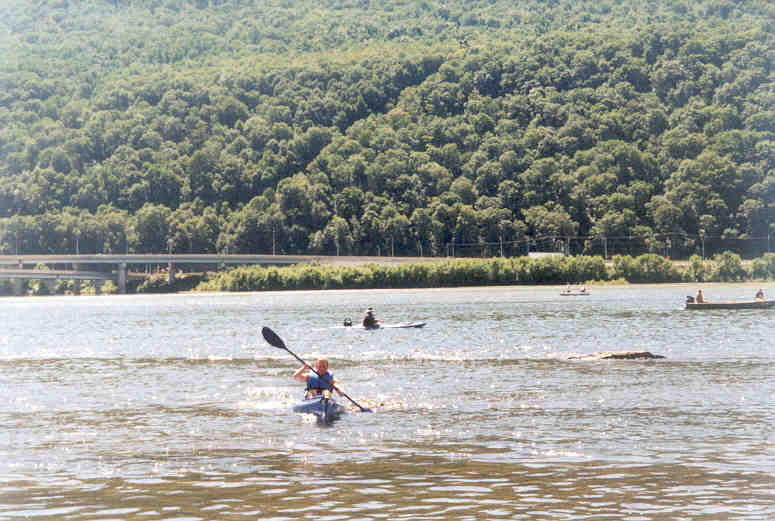 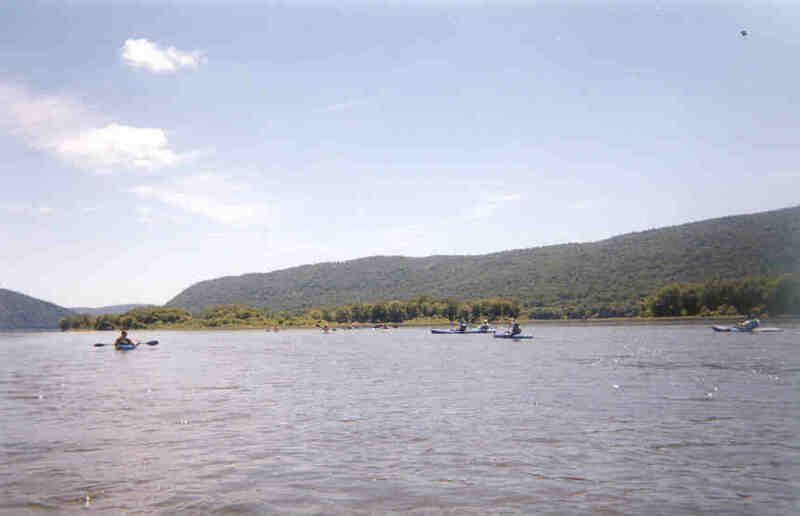 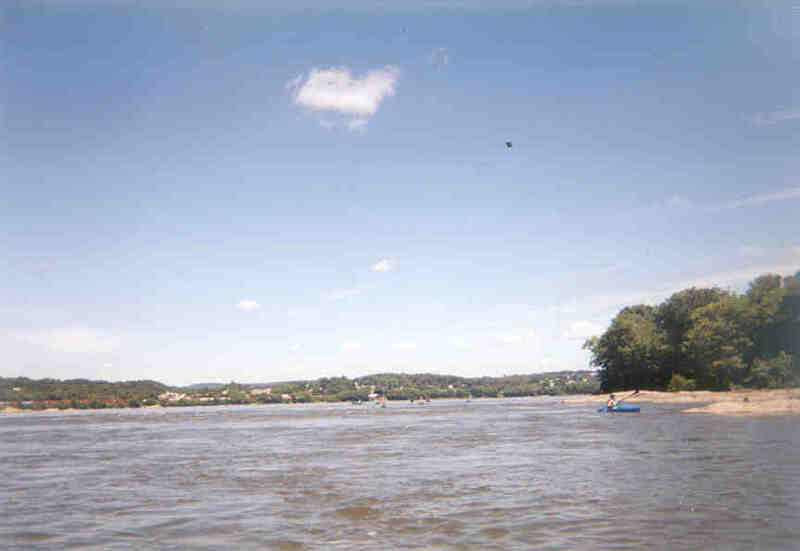 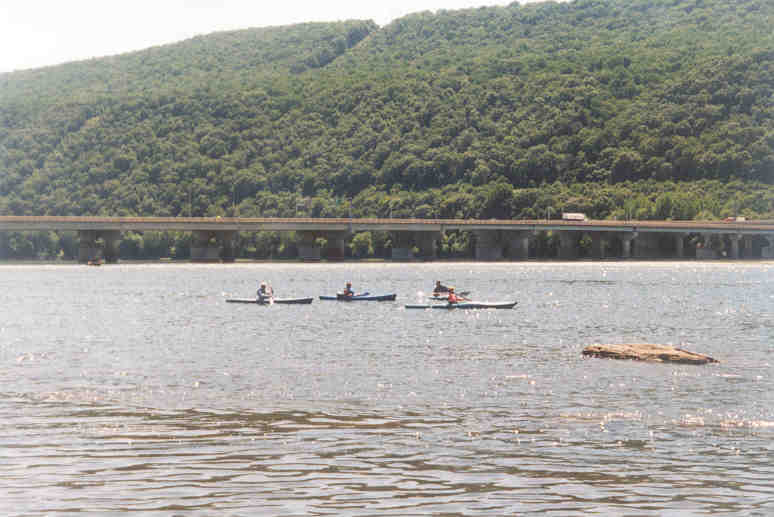 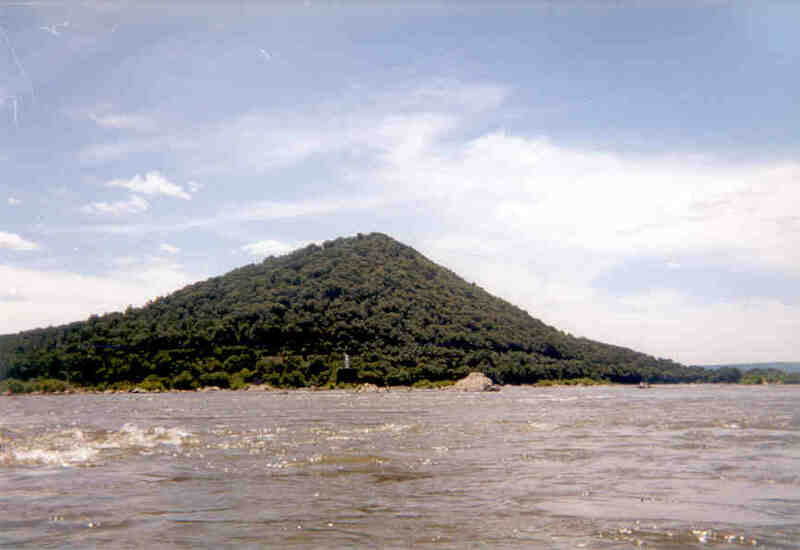 On July 8, 2000 about 2 dozen members of the Harrisburg YMCA entered the Susquehanna River at the Duncannon River Front Campground to kayak down to Marysville. 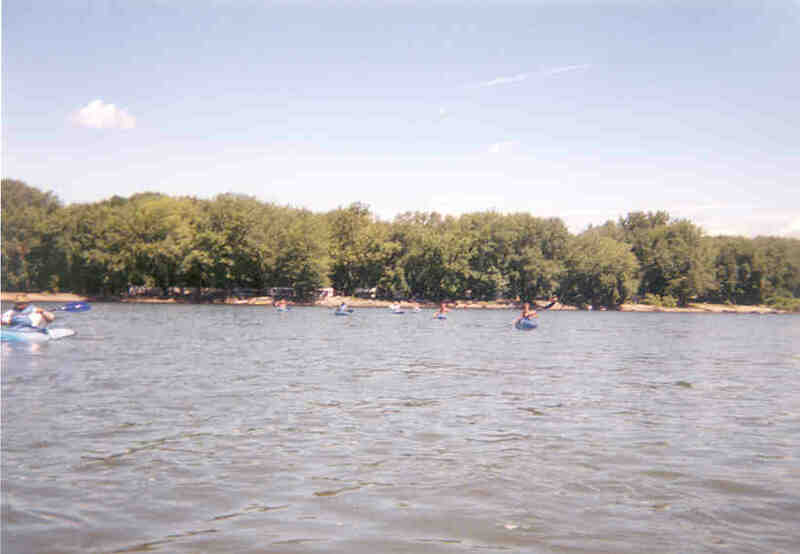 Joe and Brian capsized in the rapids. 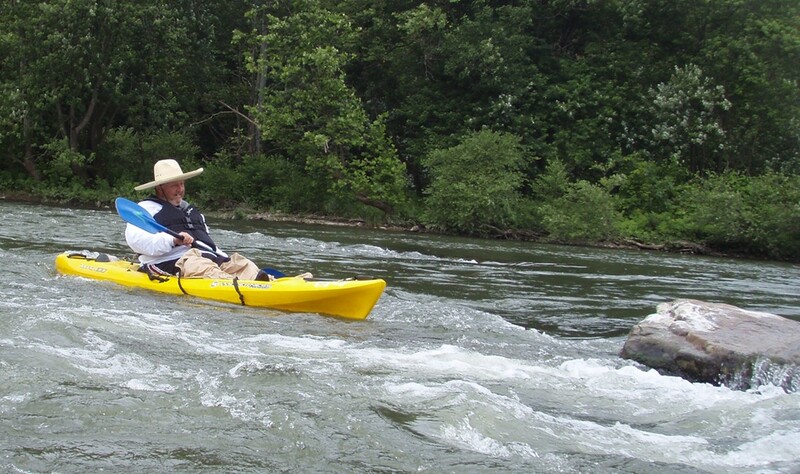 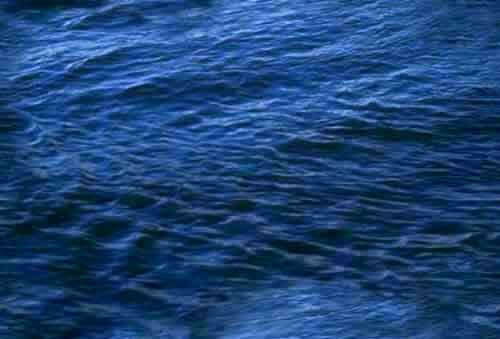 Joe's kayak became lodged between rocks and he had to swim to shore. 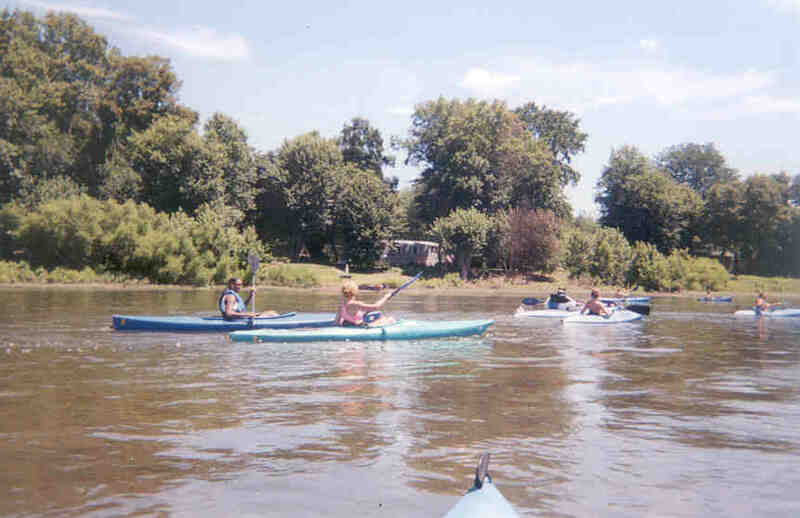 Other than that and the occasional vicious paddle splashing attacks by some of the more depraved members there were no problems. 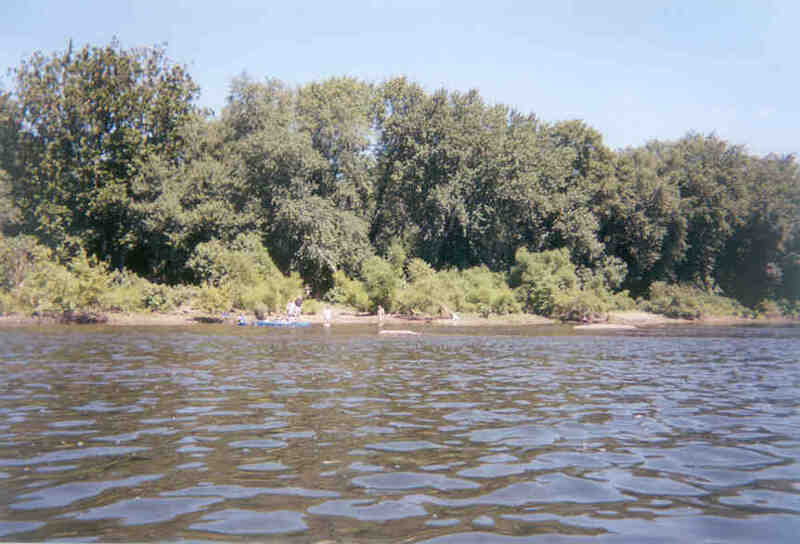 One of the most interesting parts of the trip was turning back up river after going through the rapids and exploring the rock formations below the rapids. 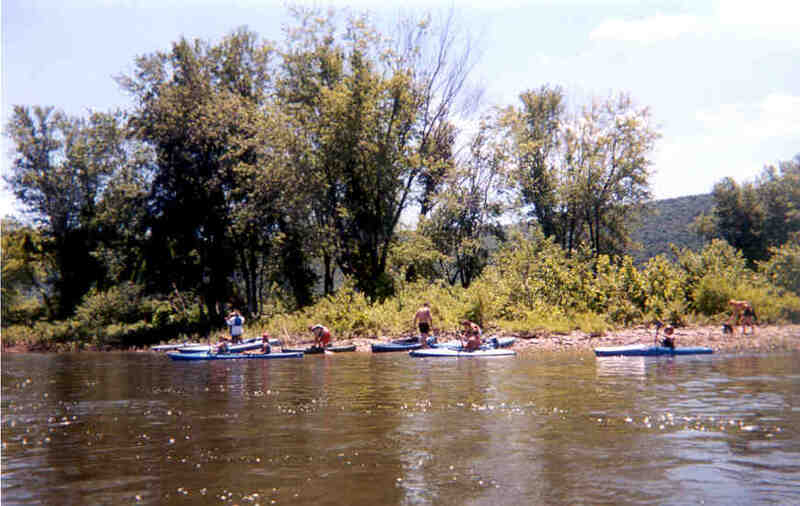 These were very impressive. 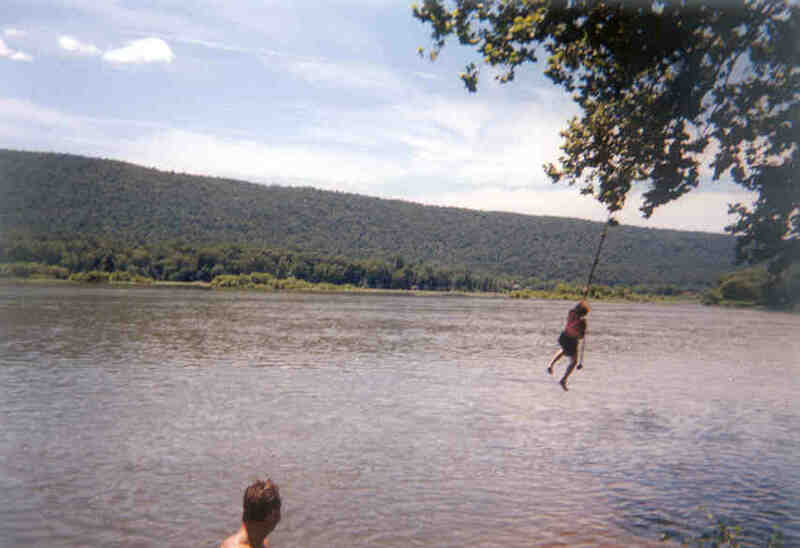 Perhaps we did have one accidental hanging. 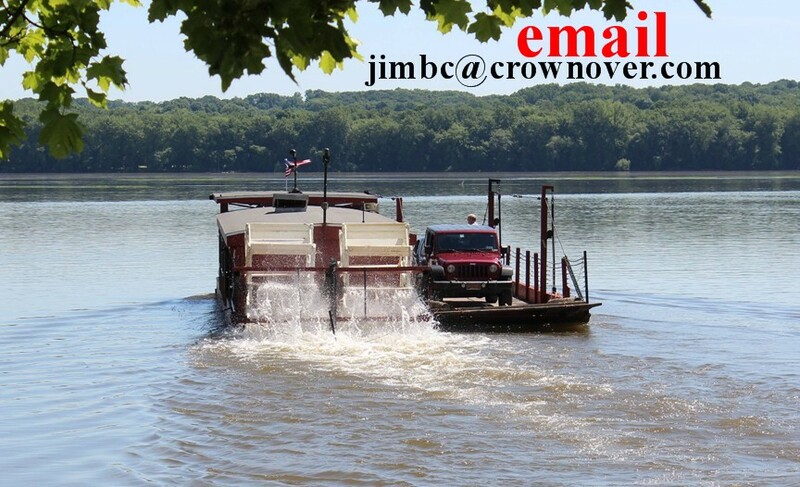 Here are links to some pictures. 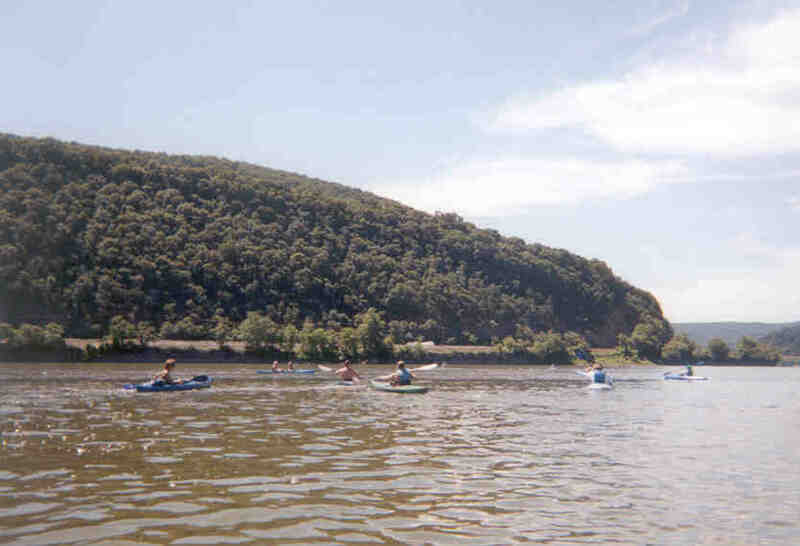 West Virginia October 12, 2008. 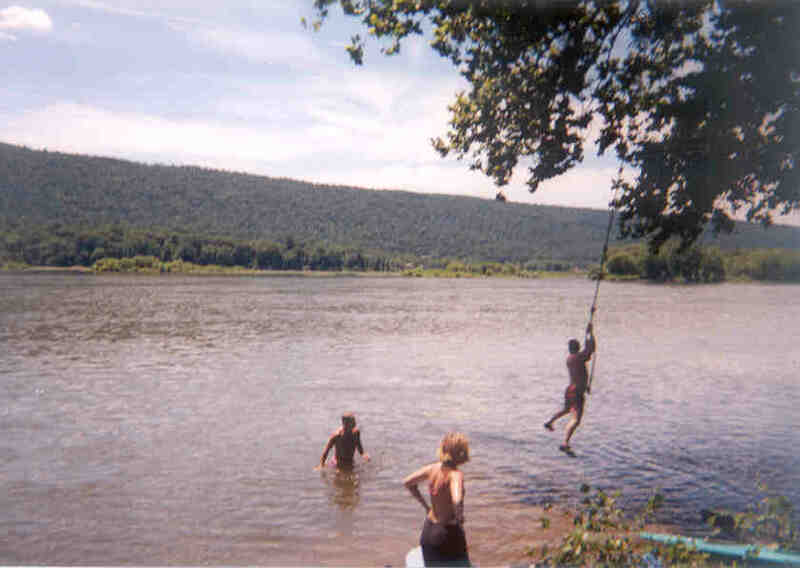 Susquehanna River trip , June 3, 2007 3.7. 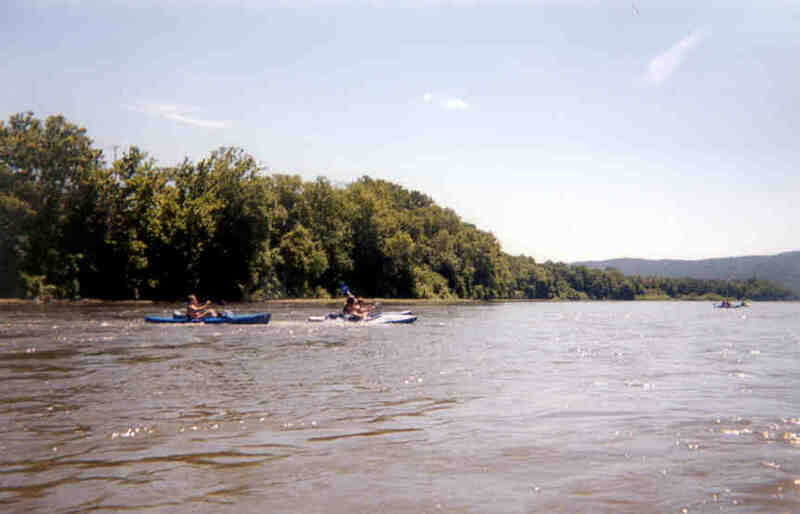 Juniata - Susquehanna River trip , June 9, 2007 3.8. 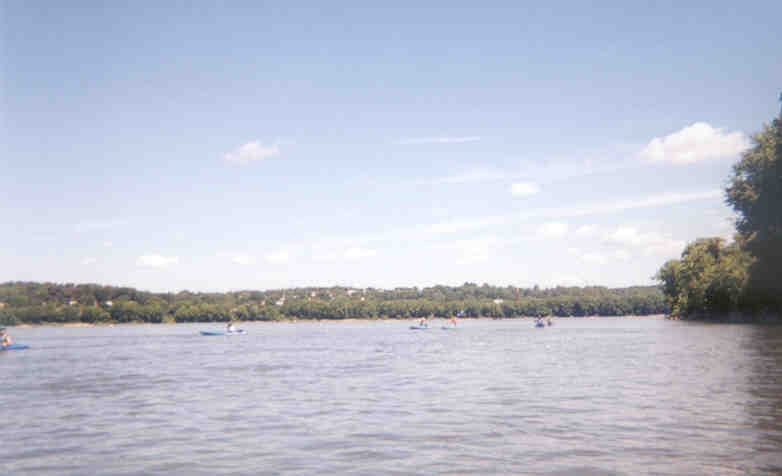 Susquehanna River trip , June 27, 2007 3.3. 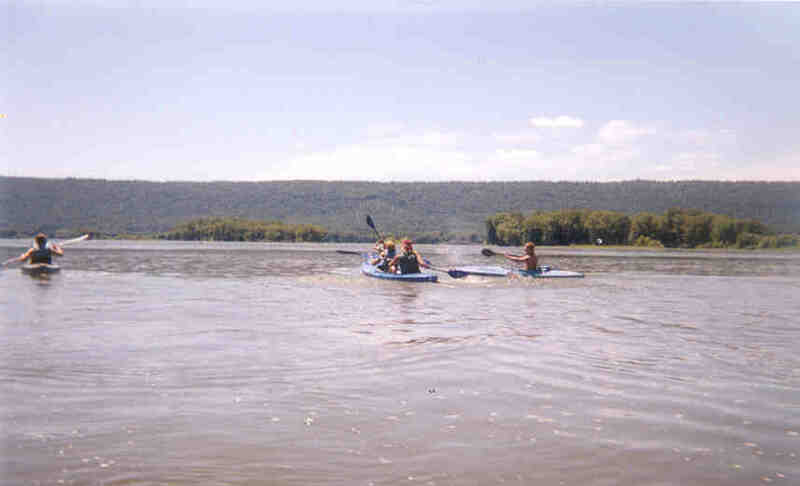 Susquehanna River trip, August 4, 2007 3.18. 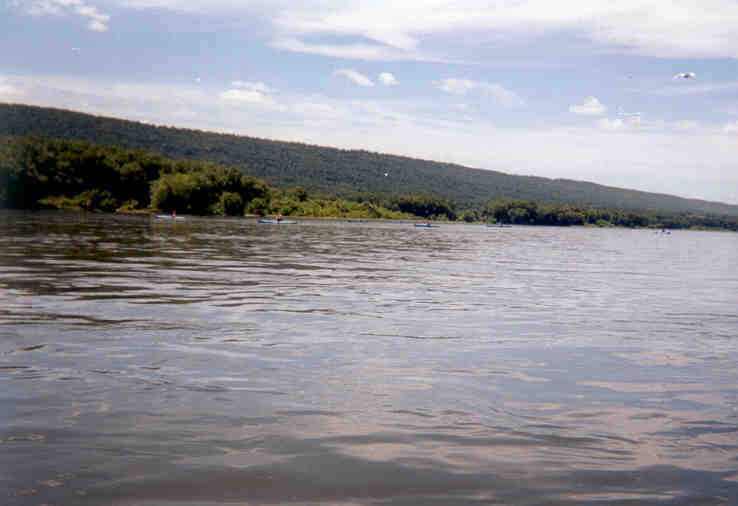 Susquehanna River trip, August 12, 2007 3.45. 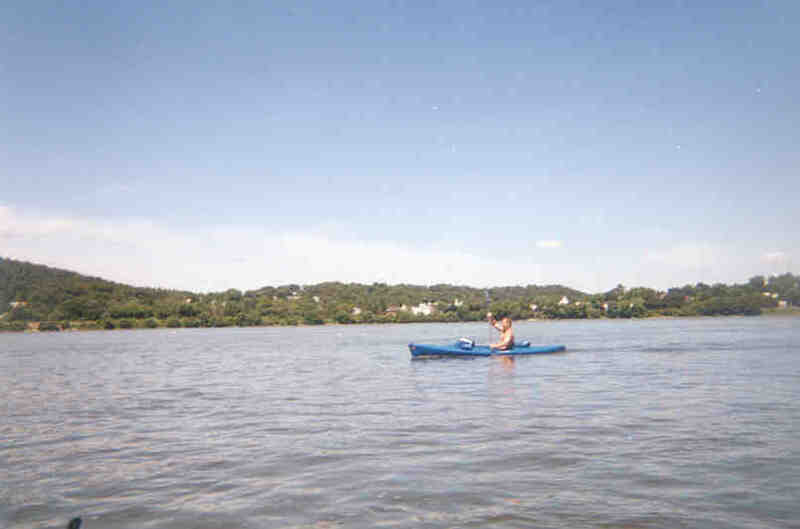 Susquehanna River Duncannon Paddle, August 30, 2007 3.38.